What's new on the show! Will Ferrell and John C. Reilly star in a humorous take on Sherlock Holmes, "Holmes and Watson" out December 21. Elementary Renewed for Season 6! “Sherlock: The Lying Detective (Masterpiece)” is nominated for an Emmy Award for Best Television Movie. Watch the Emmys tonight, 9/17 on CBS. Send a festive message as Doctor Who, Sherlock or an Eastender. Please vote for Lucy Liu for Favorite TV Crime Drama Actress at http://vote.peopleschoice.com/. "Elementary Season 4" DVD Review! Jonny Lee Miller portrays the iconic detective Sherlock Holmes, and Lucy Liu captivates as his legendary investigating partner Dr. Joan Watson in the modern-day drama, Elementary: The Fourth Season. In the latest season, Holmes struggles to maintain his sobriety and attempts to keep his sanity despite the looming threat of a prison sentence. Meanwhile, the crime-solving duo continues to crack some of the NYPD’s toughest cases when old enemies resurface, former files are reopened and new crimes run rampant close to home. Yet, the biggest obstacle the duo must face follows the unexpected arrival of Sherlock’s estranged father, Morland Holmes (John Noble). Does he hold their best interest at heart or is he scheming for something far bigger than all of them combined? Elementary: The Fourth Season DVD also includes must-watch bonus features such as insights from the cast and crew about the progression of the series in its newest season in the featurette The Sign Of Fourth; an inside look at who and what it takes to be a villain on Elementary in Villainy! ; commentary on the standout episode, “Miss Taken” in Mina, Cassie, & Ally; and Father Holmes, a sit down with John Noble to discuss his role as Holmes’ estranged father and the complicated relationship between father and son. Plus, the collection also includes a behind the scenes look at the creation of one of the season’s most extraordinary episodes, Wag the Dog: Hounded. "Houdini & Doyle," a new series out May 2 on FOX, ia very good. Michael Weston (Elementary's Oscar) stars as Harry Houdini. He partners with "Sherlock Holmes" creator Sir Arthur Conan Doyle (Stephen Mangan) to solve murders. Houdini is not only a magician, but a skeptic, whereas Doyle is looking for proof of the supernatural. Rebecca Liddiard plays Adelaide Stratton, Scotland Yard's first female constable. It's a very fun show! Check it out. Investigating Sherlock: An Unofficial Guide - Read Our Book Review! Sherlock Christmas special Sneak Peek! On the heels of its U.S. premiere on MASTERPIECE on PBS and the U.S. and Canada cinema event, Holmes and Watson, the classic crime-fighting duo, are back on DVD and Blu-ray January 12, 2015 in a feature-length ghostly adventure that Entertainment Weekly calls "wildly entertaining." Sherlock: The Abominable Bride sees Benedict Cumberbatch (Doctor Strange, Star Trek: Into Darkness) and Martin Freeman (Fargo, The Hobbit films) reprise their Emmy Award-winning roles as Sherlock Holmes and Dr. John Watson in a one-off episode set in Victorian London in 1895. The episode was co-written by Steven Moffat and Mark Gatiss with performances by Rupert Graves, Una Stubbs, Louise Brealey and Amanda Abbington. It was directed by Douglas Mackinnon (Doctor Who, Line of Duty). Sherlock is a global phenomenon, engaging audiences from Berlin to Beijing, from Texas to Tokyo. The show has been sold to over 240 territories across the world, won 12 BAFTAs, 7 Emmys and a prestigious Peabody Award as well as accolades at the Edinburgh TV Festival and the Television Critics Association. Sherlock made its mark in U.S. pop-culture being one of only three British TV shows that have appeared on the cover of Entertainment Weekly. Sherlock: The Abominable Bride premiered on January 1, 2016 on MASTERPIECE, and recently made its big-screen debut in theaters across the U.S. and Canada. BBC Worldwide North America is the main commercial arm and wholly-owned subsidiary of the British Broadcasting Corporation (BBC) operating in the U.S. and Canada. The company exists to maximize the value of the BBC's assets for the benefit of the UK license payer and invests in public service programing in return for rights. The company operates four businesses in the territory - linear and digital content sales and co-productions, consumer products, BBC.com, and two production divisions - BBC Worldwide Productions, responsible for the smash hit Dancing with the Stars and the U.S. version of Top Gear; and Adjacent Productions, producers of DaVinci's Demons, Life Below Zero, and Ladies of London, among others. The company also owns a 50.1% share in cable channel BBC AMERICA through a joint venture with AMC Networks. The holidays are rapidly approaching, and so is the much-anticipated Sherlock holiday special, “The Abominable Bride”, which will air on January 1, 2016! We're looking forward to Investigating Sherlock: The Unofficial Guide (September 2015, ECW Press), the ultimate BBC Sherlock companion book written by bestselling author and TV aficionado Nikki Stafford. The book covers all three seasons of Sherlock and is a must-have for any fan of the show. “Written in an intelligent and lively manner, the book is educating as well as entertaining.” — Publishers Weekly “Investigating Sherlock is a fascinating book that give you a look at the show like you have never seen before.” — Tribute INVESTIGATING SHERLOCK The Unofficial Guide By Nikki Stafford From the acclaimed author of the Finding Lost series comes the essential companion to the hit BBC show: Investigating Sherlock: The Unofficial Guide by Nikki Stafford (ECW Press, September 1, 2015) — just in time for the upcoming Sherlock Christmas special: “The Abominable Bride”, airing in North America on January 1, 2016. Investigating Sherlock is a must-have companion to the great detective. Stafford examines each episode of the award-winning series through in-depth and fun analysis, exploring the character development and cataloguing every subtle reference to the original series. 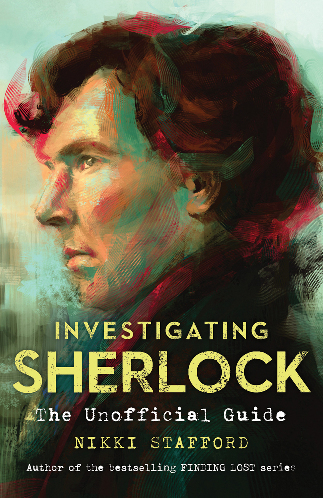 With biographies of Cumberbatch and Freeman, as well as Arthur Conan Doyle, Investigating Sherlock is a musthave addition to the collection of any Sherlock Holmes fan. Nikki Stafford is a well-known TV aficionado. 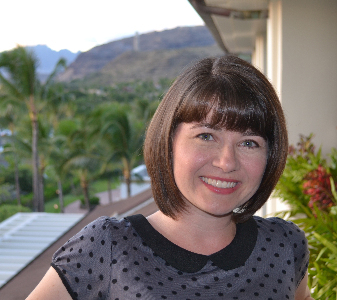 She has written 13 companion guides and maintains a blog, Nik at Night. She lives in London, Ontario. "Arthur & George" on Masterpiece (PBS) is a great 3 part miniseries about Sir Arthur Conan Doyle and his efforts to clear a man accused and convicted of hideous crimes (based on actual events)! It's thrilling and good fun. Don't miss it! Here's our full review. WGN America becomes the exclusive cable destination for TV’s most popular procedurals, “Elementary” (which critics called "gripping" and "edgy") and “Person of Interest” (touted as "gritty" and a "rare crime drama"), premiering Monday, August 31 and Tuesday, September 1, respectively, in the network’s new “Prime Crime” line-up. Airing weekdays, back-to-back, starting at 7:00 p.m. ET/6:00 p.m. CT, the two hit crime dramas join fan-favorite “Blue Bloods,” in the new programming block that kicks off with a binge-worthy 100-episode event. Over the first two weeks, a total of 100 installments of “Elementary” and “Person of Interest” will give viewers the opportunity to watch these compelling series from the very beginning, diving into the cases and capers that have unfolded since their television debuts. WGN America acquired the exclusive off-network rights to the coveted dramas in 2014. In "Elementary," Jonny Lee Miller (who plays Sherlock Holmes) and Lucy Liu (who plays Dr. Watson) are a modern-day crime solving duo that cracks the NYPD's most impossible cases; and in "Person of Interest," Michael Emerson (in the role of billionaire Harold Finch) and Jim Caviezel (as CIA operative John Reese) prevent violent crimes before they happen with the help of an advanced surveillance system known as "The Machine." Taraji P. Henson, who currently stars in "Empire," is a regular in the first four seasons of the series. WGN America, the flagship entertainment network of Tribune Media Company (NYSE: TRCO), is nationally distributed in 73 million homes via cable, satellite and telco, with high-quality entertainment programming including the breakout hit series “Salem," critically acclaimed drama “Manhattan," and upcoming scripted dramas “Underground,” “Outsiders” and “Ten Commandments." The network also brings its audience a strong slate of popular first-run syndicated series and blockbuster movies. Through Tribune Studios, the creative development arm of Tribune Media Company, original content is produced for WGN America and Tribune local stations nationwide. Follow the network on Twitter @wgnamerica. For additional information, please visit www.wgnamerica.com . Lucy Liu (Watson) directs this week's episode of "Graceland" August 27 on USA Network. CBS is going to air re-runs of "Elementary" the week of June 22, after the news (to fill the spot left by David Letterman). If you love obnoxious, self-destructive detectives, you'll probably love the new show "Backstrom" on FOX starting January 22. It's really good, so watch it! Rainn Wilson of "The Office" plays the lead character, a self-destructive police detective. He reminds me a lot of House or Sherlock... wonderful cast and well-written show. The season premiere of ELEMENTARY doubled its live plus same day adult 18-49 rating and gained more than +4.5 million viewers with live + 7-day lift, according to Nielsen ratings for Week Six of the season. ELEMENTARY's Oct. 30 debut jumped +100% in adults 18-49 with L+7 day lift (to 2.4 from 1.2) while gaining +4.51m (12.12m from 7.61m, +59%). THE BIG BANG THEORY was CBS’s biggest gainer in both viewers (+5.28m, 21.58m from 16.30m, +32%) and among adults 18-49 (+2.3 rating points, 6.4 from 4.1, +56%). SCORPION (+4.25m) and BLUE BLOODS (+4.14m) both gained more than four million viewers, while NCIS (+3.86m), NCIS: LOS ANGELES (+3.85m), CRIMINAL MINDS (+3.71m), PERSON OF INTEREST (+3.64m) and NCIS: NEW ORLEANS (+3.17m) all had lifts of more than three million viewers. With L+7-day lift, CBS moved from second to first place (2.9) among adults 18-49 in Week Six with a gain of +0.7 (+32%) from live plus same day. CBS Primetime dramas will get into the football spirit this fall when NFL greats Phil Simms, Boomer Esiason, Tony Gonzalez and Eric Dickerson guest star in ELEMENTARY, BLUE BLOODS, NCIS and HAWAII FIVE-0. Phil Simms, lead NFL TODAY and THURSDAY NIGHT FOOTBALL on CBS game analyst, will play himself as an associate of Sherlock’s (Jonny Lee Miller) who has a surprising, little-known talent. The episode will air Thursday, Nov. 13 (10:00-11:00 PM, ET/PT). As an All-Pro quarterback, Simms led the New York Giants to two Super Bowl titles during his 15-year career with the team. He completed 22 of 25 passes in Super Bowl XXI, as the Giants defeated the Denver Broncos 39-20, to win their first Super Bowl title. Simms was named MVP of that game. He established team marks for most passes completed and attempted for one game (40 completed, 62 attempted), season (286 completed, 533 attempted) and career (2,576 completed, 4,647 attempted), most career touchdown passes (199) and most 300-yard games in a career (21). LOS ANGELES – July 10, 2014 – Ophelia Lovibond is set to recur on ELEMENTARY in the series’ upcoming third season as famed detective Sherlock Holmes’ new protégé, Kitty Winter. Her character will first appear during the drama’s season premiere, Thursday, Oct. 30 (10:01-11:00 PM, ET/PT) on the CBS Television Network. The role marks Lovibond’s U.S. television debut. Kitty Winter is Sherlock’s (Jonny Lee Miller) new apprentice in New York who immediately becomes rivals with her predecessor, Joan Watson (Lucy Liu). Kitty’s reasons for undertaking Holmes’ partnership are nebulous, and her new arrangement with Sherlock will have ongoing repercussions for his relationship with Joan. CBS announced 3/13 that it's renewing "Elementary" as well as 8 other dramas. ELEMENTARY posted week-to-week growth in viewers, adults 18-49 and adults 25-54 and THE BIG BANG THEORY was Thursday's most-watched and highest-rated broadcast in key demographics, according to Nielsen preliminary live plus same day ratings for April 10. Visit our Primetime Forum for lots more Elementary and Sherlock News!